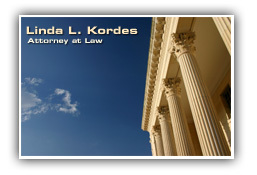 We provide legal expertise in the areas of elder law, trust and estate planning and disability planning. The firm's approach is comprehensive and designed to consider the entire family in creating a plan for the client. In February, I participated in a panel discussion, both live and on a "Webcast" as it is called, which was sponsored by the New York State Bar Association, in conjunction with the New York City Bar. We panel members discussed the merits and workings of the Legal Referral Service, an excellent source of client referrals throughout the State. If you are a recent graduate, or temporarily in-between jobs, you should visit the blog at www.nysba.org: just click Committees and then the Lawyers in Transition Blog. The webcast on the Legal Referral Service can be found in the Archive Section under February, 2013. Not only will you learn about the Legal Referral Service, but you will also pick up many tips on earning money while searching for a job, a difficult and stressful time in any lawyer's professional life. Our practice concentrates in the areas of Medicaid and tax planning, the preparation of simple and complex wills, trusts, and powers of attorney, guardianship and related elder law matters. In addition, we are experienced in representing clients in Surrogate's Court, including but not limited to, probate, administration and accounting matters. The main office is located in mid-town Manhattan.